Air Terjun Jeram Tiga Lapis, Air Terjun Jeram Enggang. 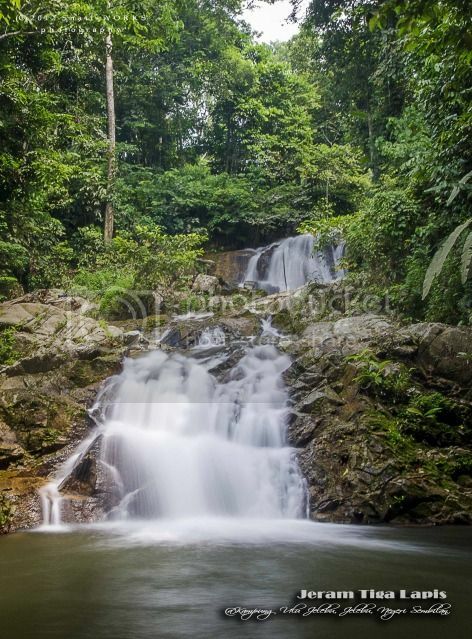 地点 Location Kampung Ulu Jelebu, Jelebu, Negeri Sembilan. 类型 Profile Stream waterfall, cascade. 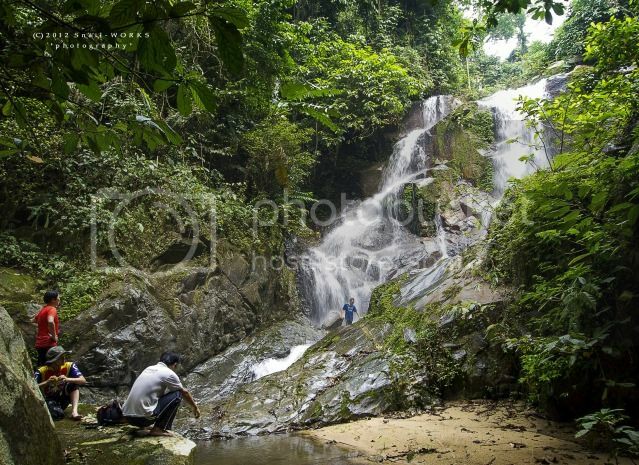 水池/营区 Pool/Campsite Dipping pool, campsite is available near Jeram Tiga Lapis Fall. Most found at jungle trail. High chasis vechicle is recomended, eg. SUV & 4wd. 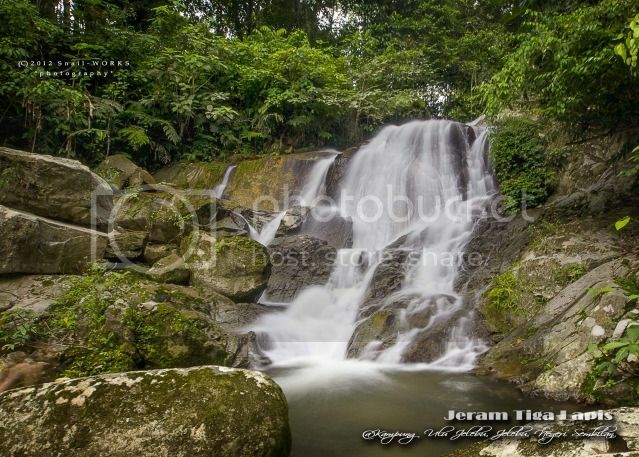 Jeram Tiga Lapis Fall & Jeram Enggang Fall are located at the north of Telapa Buruk Mountain, can be reached from Jelebu (known as Kuala Klawang previously). Both of the falls are from the same river. Use road no. 86 to reach Jelebu from Seremban. Turn into the small country road at the side of Jelebu Museum towards Grisek Ulu Jelebu Village. Soon the tarred road become a dirt road which lead us to an orang asli village. 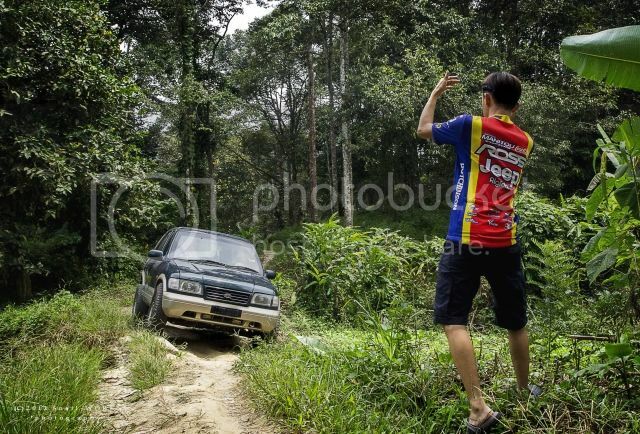 We turned into another dirt road at a Y-junction near the orang asli village (we almost miss the junction). The dirt road looked often travelled by motorbike instead car. Everything went alright until we reached a fish farm. Part of the road is broken, we had to drive thru very carefully. Beware of this part, our car stucked here during our return journey. Continued driving until the trail is blocked by a fallen trunk, where at about 1km before the campsite, we had to start walking from this point. I was nagging to myself : errr, the fallen trunk, i have to walk extra 1km for uphill now...! We reached Jeram Tiga Lapis Campsite after 50 mins walking. I remembered i read an online article that someone intent to develope the place, but what i found the place now is abandoned toilet & tent, overgrown bushes everywhere, another not working project. The Jeram Tiga Lapis Fall just around the corner of the campsite. 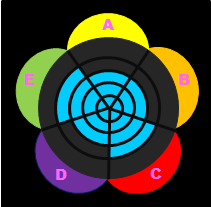 Tiga Lapis means 3 layers. 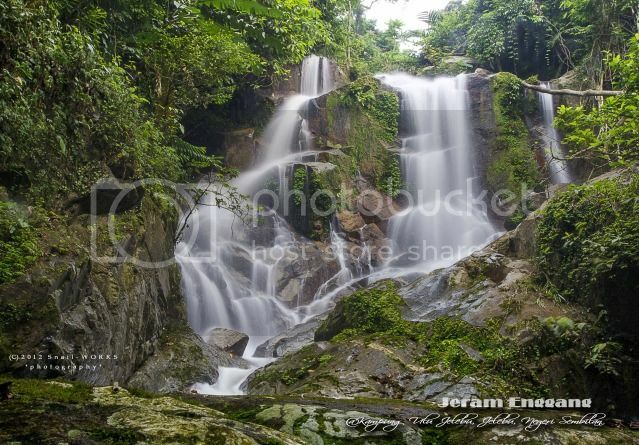 Below is the upper tier of Jeram Tiga Lapis Fall. Mid tier of Jeram Tiga Lapis Fall. The lower tier and the whole view of Jeram Tiga Lapis Fall. 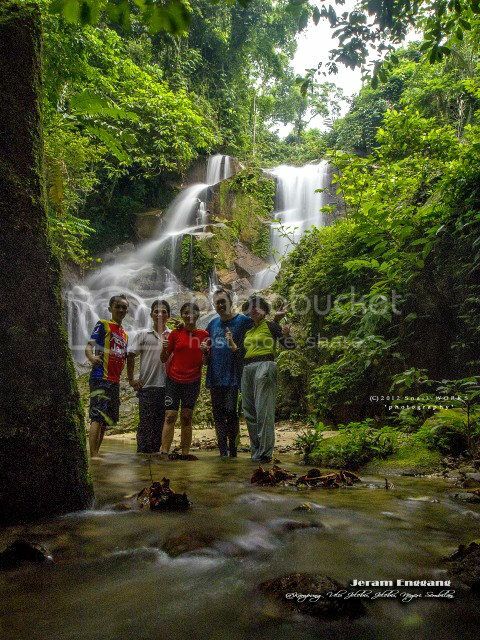 Walked back to the campsite from waterfall, we tried to search for the jungle trail to Jeram Enggang Fall. Found the jungle trail is covered by overgrown bushes. The trail become clearer inside the jungle. I'm not sure is this a hiking trail end at Telapa Buruk Mountain. With the help of the GPS, we reached the destination as planned. But we had to find a route to go down to the gorge. Off course we make it after some hard work. 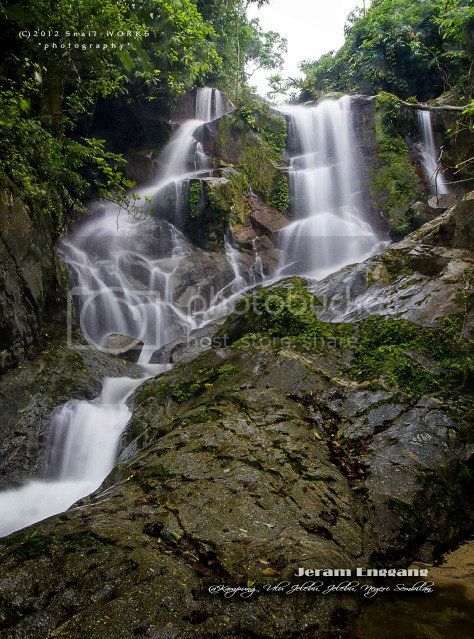 Jeram Enggang Fall, estimate it is about 4 stories height. 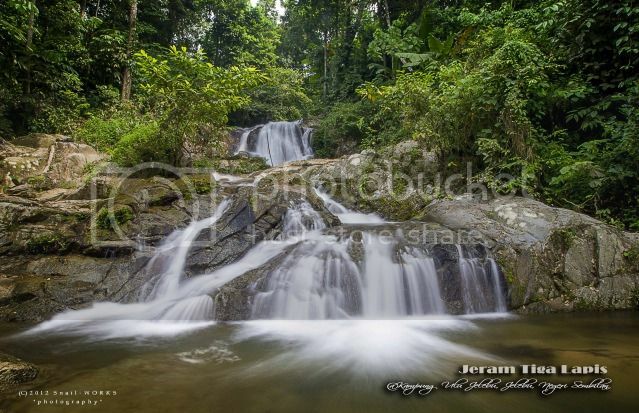 Have you been to the pristine Jeram Tiga Lapis Fall & Jeram Enggang Fall? Great website you have here. Appreciate all your hard work so that the rest of us can enjoy your writeup and the details. Just wanna ask something. We attempted to get to Jeram Enggang and Jeram Tiga Lapis today. We managed to reach the campsite but couldn't find Tiga Lapis. Is the waterfalls downstream from the campsite? Also, on Jeram Enggang ,.. my friends river trekked upstream for about 10 meters from the campsite and found a vague trail. on the right hand side (if facing upstream). 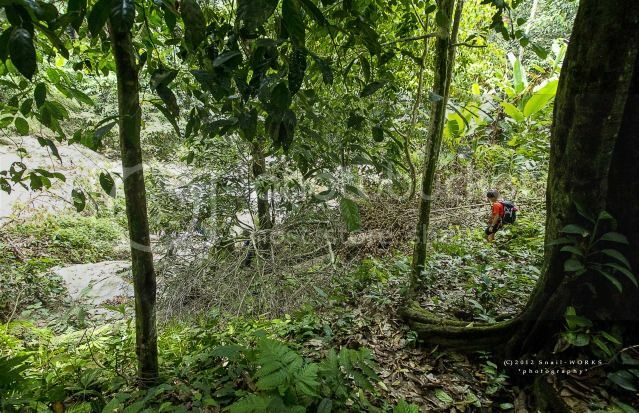 They hacked through the bushes and reached the top of what they believe to be Jeram Enggang. How do you get down to the waterfalls? Is there a simpler trail from the campsite to get there? The trail to Jeram Enggang is on the left of the river (face upstream). The trail head is abit further down from the campsite and overgrown by 'Lalang". 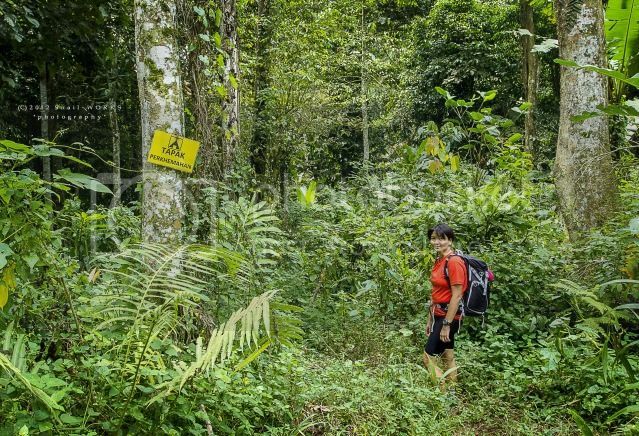 After clear the "Lalang" part, the jungle trail is clear and lead to somewhere. 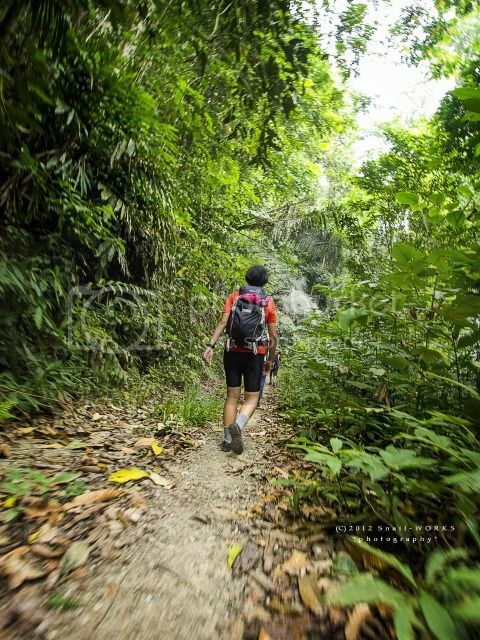 Follow the jungle trail, Please take note there's no clear trail lead to Jeram Enggang Fall. you got to refer to the GPS coordinate given above, leave the clear trail and find your way down to the riverbank. Hope you manage to find the both beautiful waterfalls and be safe.